We raise ADGA registered Alpine Dairy Goats. Our herd is tested annually for CAE, CL & Johne's diseases and has been disease free since we started. We participate in the American Dairy Goat Performance Program DHI, milk testing our herd monthly. We feed no spray grass/alfalfa hay, non-gmo sprouted grains, and Chaffahye. Check in the summer for available kids and adults who may be for sale. Our herd is composed of breeding stock chosen for milk production, butterfat and demeanor. We retain and breed goats for the family and dairy with good milk and good attitudes. We look at the whole goat when we choose to retain does and bucks. We keep good genetics in the herd for parasite resilience, health, udder and kidding ease. I get asked this question a lot from many people, and I have to say that I just love their independent personalities, the consistency of the milking production and milking season for them, the kidding ease in our breeding does, and our friendly bucks. Over the past 20 years I've raised a whole lot of animals breeds, and have really been narrowing it down to what works best for what we need and in our expectations of that animal breed. I started in goats with one Alpine and 3 Nigerian Dwarf goats and quickly added in Oberhasli, and Toggenburg breeds. By year two I was back to the Alpine and the Nigerians because they worked the best with my growing family. We've had a fiber herd of Cashmere and Angora goats previously, a boer, Nubians and laMancha goats, but for many reasons we are working back down to all Alpines. Our alpines average over a gallon of milk a day during their peak lactation cycles, stay in their fences, get tucked into their barns at night, get onto their milking stanchions quickly, and all of our bucks are easy to handle. If your thinking of adding dairy goats to your family or farm, contact us for more information on what we have available, of what we may know is available if your looking for other breeds, or if you need any dairy goat consultation or have questions. While working with a local creamery, this question has come around in our thoughts and we have been thinking on the concept of creating a micro-dairy on farm. 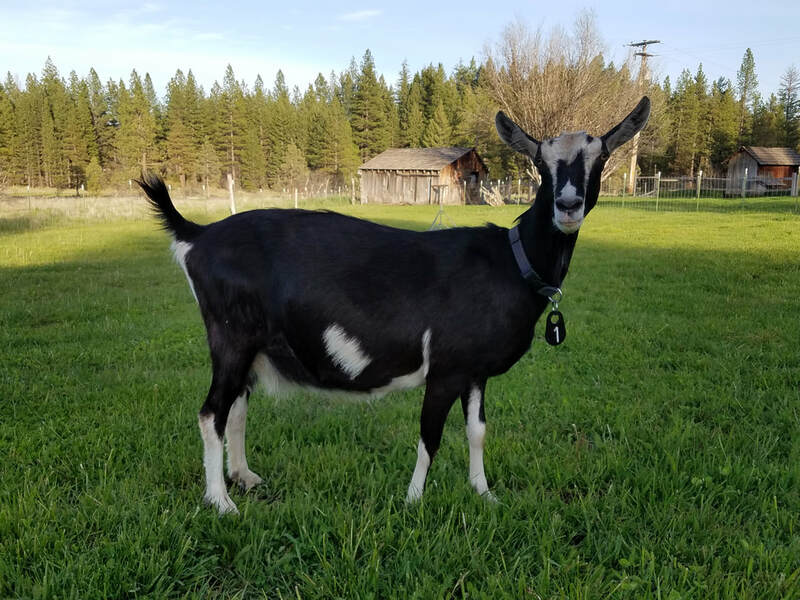 This is in the conception phase but it would create a wonderful local addition to the goat dairy scene in Southern Oregon as currently there is only one licensed goat dairy in the Rogue Valley. We keep up with our local goat community through the Rogue Valley Dairy Goat Association. We are American Dairy Goat Association Members (ADGA). We regularly attend events and classes through the Southern Oregon OSU Extension and Small Farms Program. We support local farms and farmers.